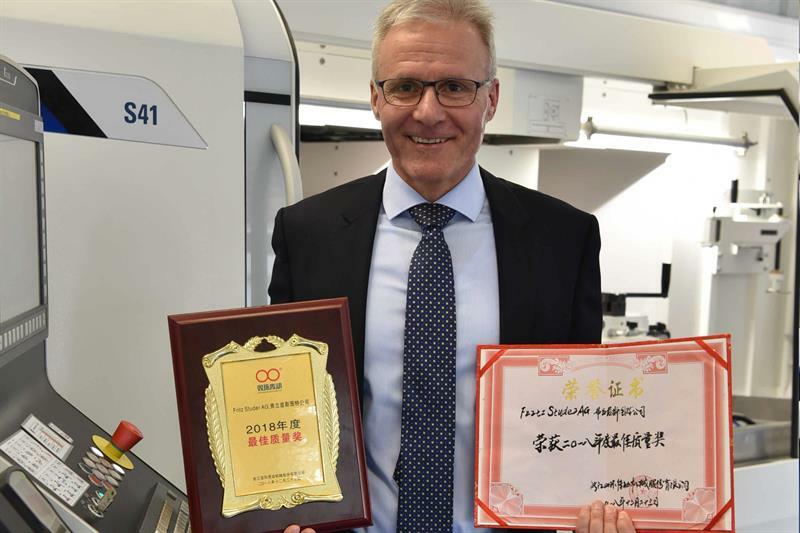 ​Fritz Studer AG has won the prize for ‘Best Quality 2018’ at the Shuanghuan Company in China. Every two years, the Shuanghuan Company presents awards such as ‘Punctual Delivery’, ‘Innovation’ or ‘Best Steel Producer’. 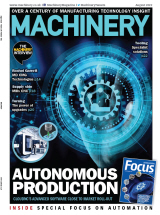 Fritz Studer AG received the award, because of the following attributes: Studer products are characterised by high stability, a low error rate and significant improvements in efficiency. The handling of delivery, training and technical support are particularly excellent, and the frequency of faults during working time is extremely low, and this has been acknowledged at all levels of Shuanghuan. "This award is a great honour for Studer and motivates us in our efforts to create a real competitive advantage for our customers with innovative products that meet the highest quality requirements," said Rolf Grossenbacher, overseas sales manager at Fritz Studer AG (pictured). The Shuanghuan Company in China employs several thousand people. It offers innovative solutions worldwide for mechanical gear systems. The company manufactures reduction gears for robots, vehicle transmissions and gears for trains, among other things, on the high precision cylindrical grinding machines from Swiss firm Studer. There are 45 Studer machines in the halls at the Shuanghuan Company, with Studer having delivered several new machines in 2018.